HÀ NỘI – The domestic garment industry has faced many challenges in exporting to key markets, such as the European Union (EU) and the United States, but it still has a chance of achieving its export target this year, according to experts. First quarter figures appear to support this expectation. Vietnam earned $6.84 billion from garment and textile exports in the first quarter of this year, 11.2 per cent more than in the same period last year, according to the Việt Nam Textile and Apparel Association (VITAS). Việt Nam’s textile and apparel sector has set a target of seven per cent growth over 2016, with total export earnings of over $30 billion. Currently, Vietnamese garment and textile products are available in 40 countries and territories, with major markets including the United States, Japan, the Republic of Korea, China and the EU. VITAS has urged enterprises to optimise the capacity of their equipment to reduce production costs and seek orders for high-quality products. But Đặng Phương Dung of the VITAS advisory board said the growth rate of export value and volume to the EU was low, with local manufacturers receiving only small orders. Việt Nam’s garment industry has also not developed in terms of design, so most textile and garment enterprises have found it difficult to compete for export orders from this market. High import tax rate of 8-12 per cent to the EU market is also one of the obstacles facing garment exporters to this market. The EU is the second largest export market of Vietnamese garment products, but it has only captured a 1.9 per cent share of the union’s total import value, according to the association, presenting opportunities for growth. However, Dung said, meeting the rules of origin under the Việt Nam-EU Free Trade Agreement in terms of preferential tax rate would be the biggest challenge for Vietnamese garment exports. The garment industry expects ASEAN countries, including Việt Nam, to sign an FTA between the ASEAN region and the EU, and then local garment enterprises would have more options to get material for garment production from other ASEAN countries, meeting rules of origin under the FTA. According to data of the General Department of Customs, in 2016 the textile and garment sector reached total export value of $23.8 billion, an increase of 4.6 per cent year-on-year. In particular, the United States continued to be the largest export market of Vietnamese garment products, accounting for 48 per cent of the total garment export value. Export value of textiles and garments into the United States has increased by 12-13 per cent each year in recent years. 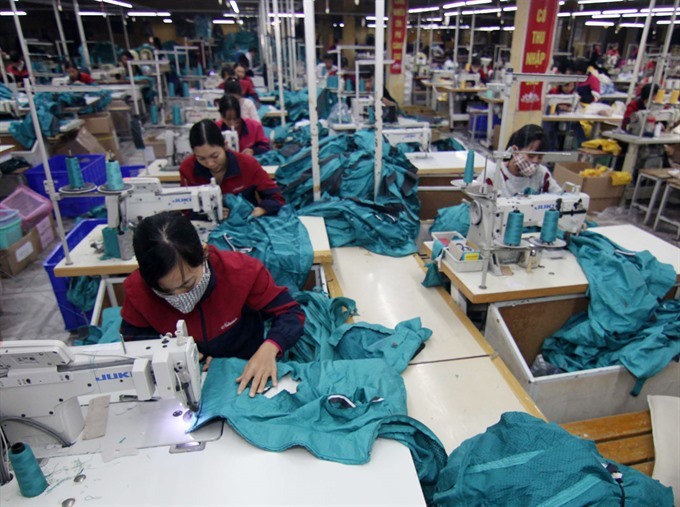 Many enterprises invested in building textile and dying factories on an extensive and intensive scale to boost opportunities in production and business for the planned Trans Pacific Partnership (TPP), according to the association.